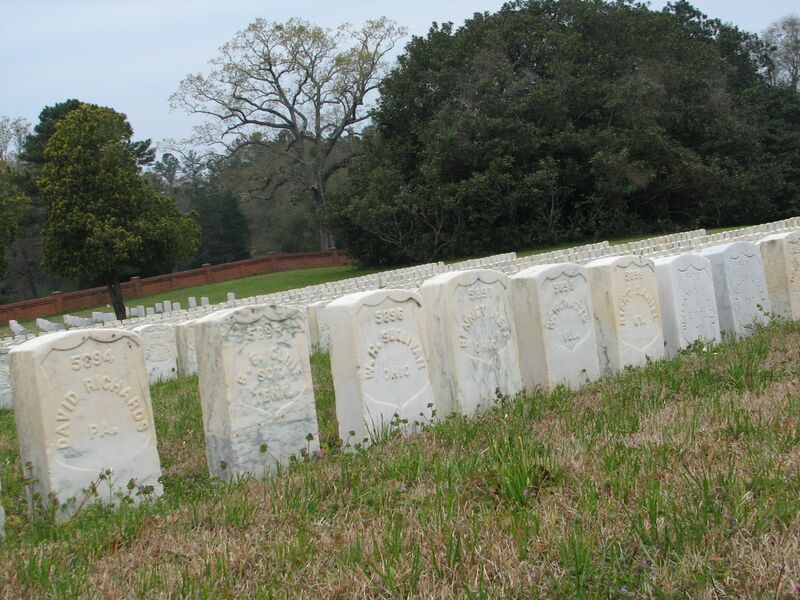 There are reported to have been 25 men from the 78th Ohio Veteran Volunteer Infantry who were POWs at Andersonville, some for longer times than others. A complete list can be found by clicking here. This is a database maintained by Carol Lundquist; it was first started by her late husband Jack Lundquist. Please note that the “E. Sluck” in this database is really Elisah Slack, who is referred to as Lash Slack in Roach’s Andersonville memoir, posted here and under Memoirs. Also, there are 27 listings in the database for the 78th, but two men are listed twice. One is James P. Hartsell who is listed once as a private and again as a corporal, but he is clearly the same guy! And, then Henry Spiker is also listed twice. 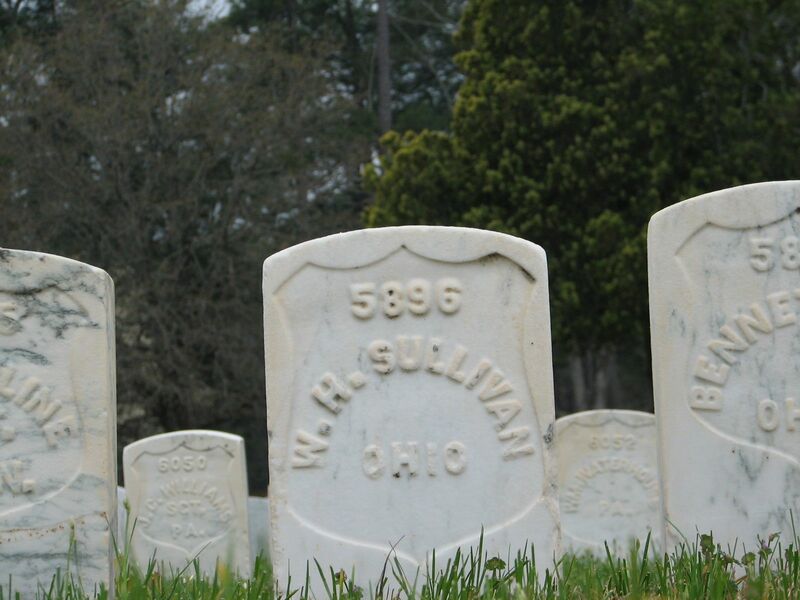 Of the 25 men mentioned as incarcerated at Andersonville, it appears that only one — William H. Sullivan — died there. Another, William H. Huffman, died as a POW after being transferred to Savannah. 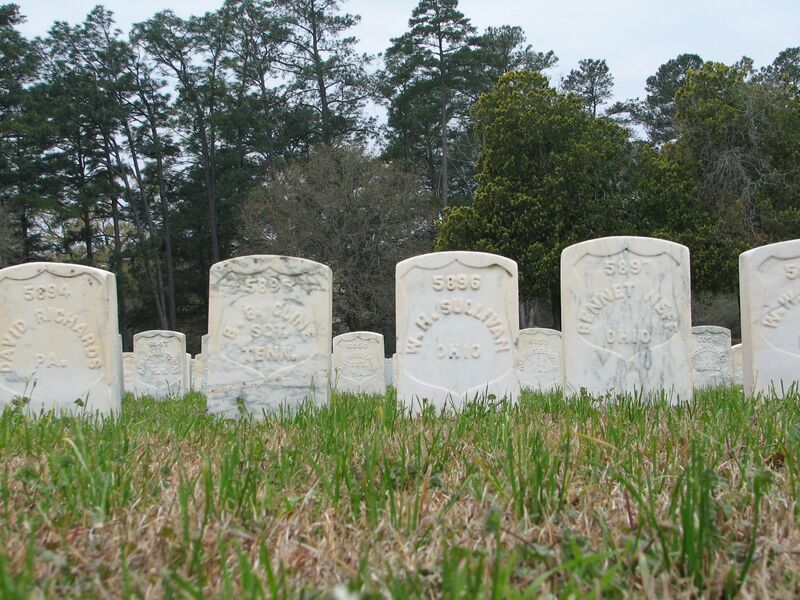 The large number of men of the 78th who survived Andersonville was probably in part due to the fact that most of them were captured relatively late in war, starting in the summer of 1864. 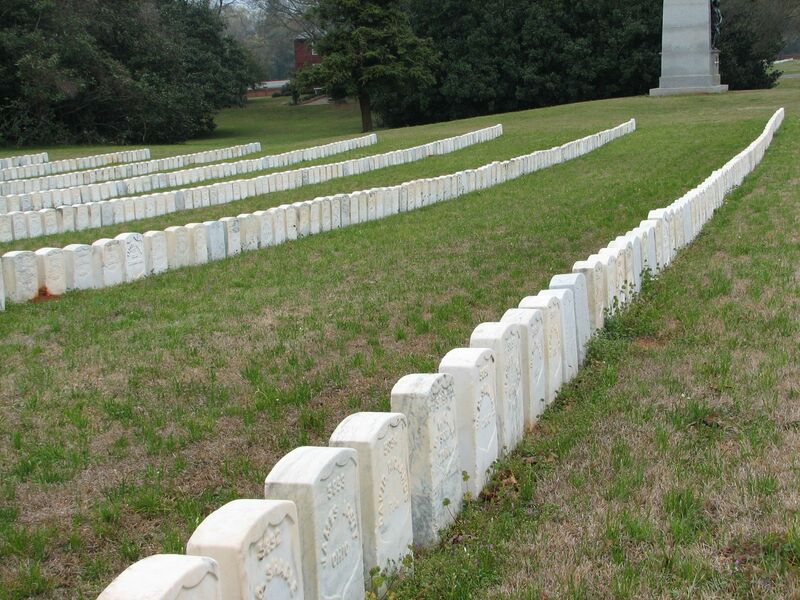 When I visited Andersonville several years ago, I took some photos of the cemetery there. I found the grave belonging to Corp. Sullivan. 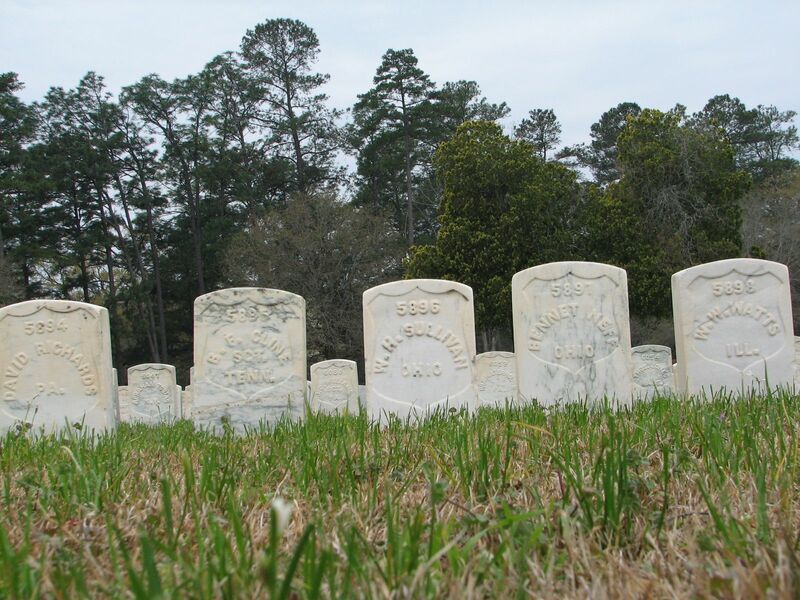 You can see the photos below of the Andersonville Cemetery and can run these as a slide show, if you wish. NEW: Henry M. Roach’s Andersonville Memoir . . . click Memoirs in menu . . . FEATURED: McIntosh brothers’ letters and George Hiram Coulson papers . . . click Letters Home . . .